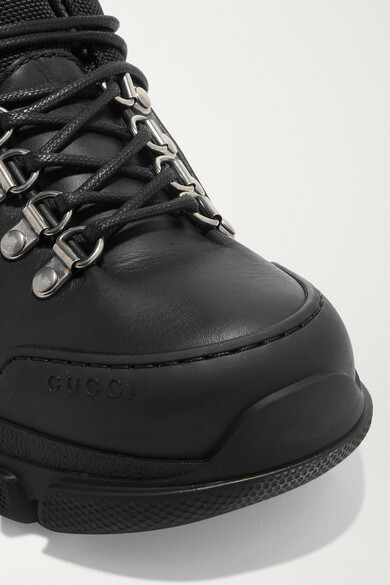 Rugged hiking boots like Gucci's 'Flashtek' style are winter's answer to chunky 'dad' sneakers. 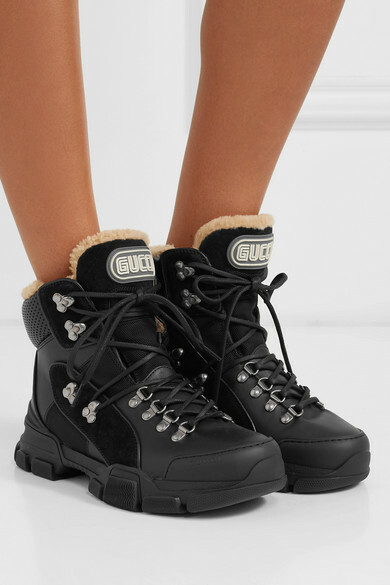 Made in Italy from panels of suede, leather and technical canvas, they're set on a thick rubber lug sole and finished with a signature logo appliqué inspired by '80s SEGA games. 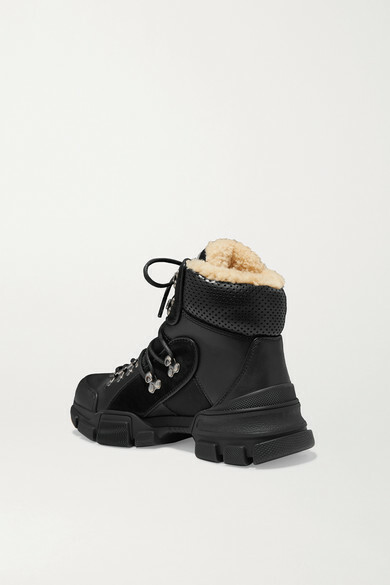 The soft shearling lining is made from merino wool to keep your ankles warm and cozy on chilly days. 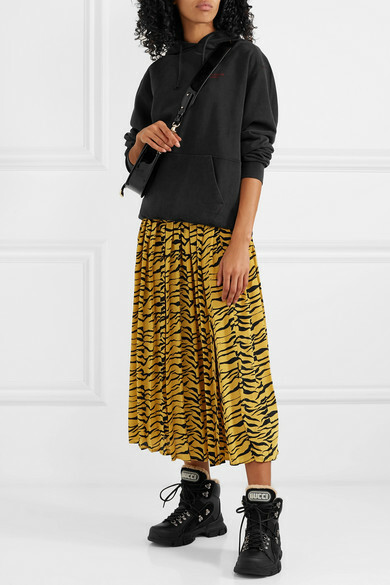 Shown here with: RIXO Skirt, Acne Studios Hooded top, Chylak Shoulder bag.